Scruff just can't resist sausages . . . salami, pepperoni, chorizo . . . he simply loves them all. But gate-crashing barbecues and hanging around outside the local butcher's shop is not making him the most popular dog in town. Then one day, disaster strikes! There's a break-in at the butcher's - and ALL THE SAUSAGES are stolen! Neither the policeman, nor the mayor, nor the butcher can trace the sausage thieves. There's only one thing for it; Scruff will have to sniff them out! After a lot of twists and turns, Scruff's sniffing talents and bravery win the day - and Scruff and his chums are rewarded with a slap-up meal at a posh restaurant. Guess what's on the menu - SAUSAGES! 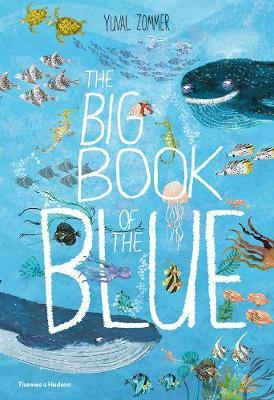 Yuvall's debut picture book, The Big Blue Thing on the Hill, published by Templar in 2014, was nominated for the 'Heart of Hawick' Children's Book Award 2015, in the best new picture book category, as well as for the 'Read It Again!' Cambridgeshire Children's Book Award 2015, for best debut by an author/illustrator. Yuval Zommer graduated from London's Royal College of Art and went on to pursue a career as creative director for some of the UK's top advertising agencies. His debut picture book, The Big Blue Thing on the Hill, published by Templar in 2014, was nominated for the 'Heart of Hawick' Children's Book Award 2015, in the best new picture book category, as well as for the 'Read It Again!' Cambridgeshire Children's Book Award 2015, for best debut by author/illustrator.